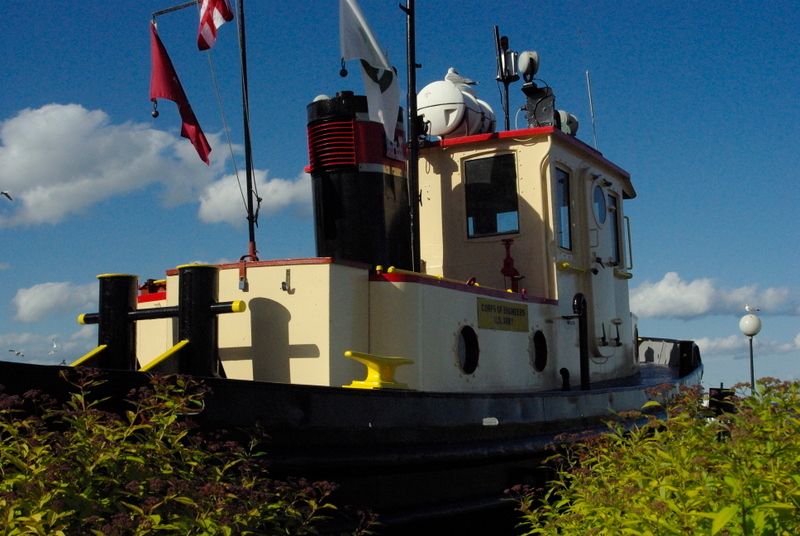 Minnesota Pictures: Minnesota Photos that define the northstar state: Where is this tugboat? This tugboat which may or may not be the inspiration for the children's book "Scuffy The Tugboat" resides somewhere on Minnesota's North Shore based on the photographer's tags. I'll go ahead and assume that it's in Duluth but in my visits I've never seen it. Where oh where is this tugboat at? Isn't this tugboat out front of the Museum at Canal Park? If I remember correctly it's a pretty permanent installation. Good perspective in this photo however, as this tug is nestled in near the bridge and the building which would have drawn your interest as a backdrop. Yep, that's the "Bayfield" in Canal Park.